Greece is a country bursting with contrasts……sometimes sophisticated and modern, always with something to remind you of its historical past. A country where myths and legends are intertwined with everyday life, and where the forces of nature have produced majestic natural phenomena. The fabulous Parthenon, sunsets from the cliffs of Santorini, the beaches and night-life of Mykonos and the splendours of Crete and Meteora are just some of the delights that await you. 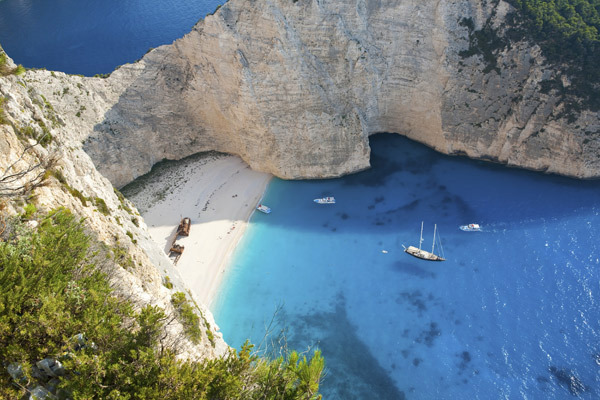 From sublime architecture to natural grandeur, Greece provides it all. Late nights dining out with friends and late starts in the morning become the rhythm of your day. After arriving in Athens you will be met and privately transferred to your choice of accommodation, and assisted with check-in. Today we begin your tour of Athens, touching on the major landmarks commemorating both ancient and modern Athens. 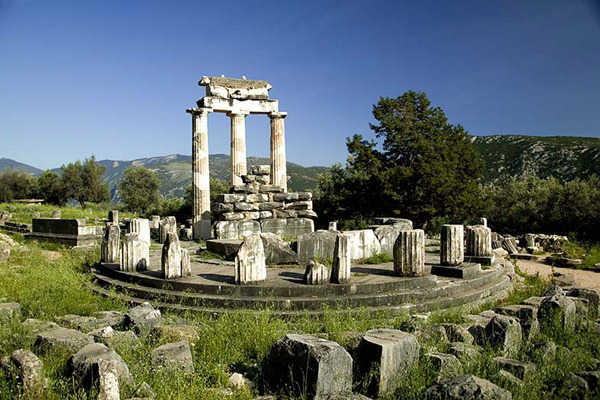 Your tour today includes a visit to the Stadium where the first Olympic Games of the modern era were held, the Presidential Palace guarded by the Evzones in their colourful uniforms, the Temple of Olympian Zeus, Hadrian’s Arch, the Parliament, the Memorial to the Unknown Soldier, the Academy, the University, the National Library and Constitution Square. 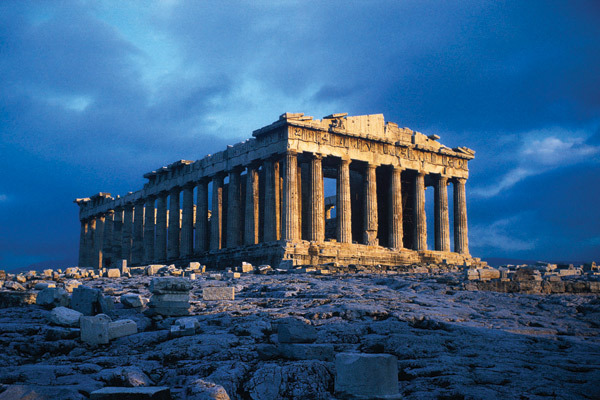 We will then visit the Acropolis and it’s architectural masterpieces from the Golden Age of Athens including the Propylaea, the Temple of Athena Nike, the Erechtheion and of course, the magnificent Parthenon. Then we continue to Lycabettus Hill, 277 metres above Athens via the cable car where we will have a good view over Athens sitting between the Attica Mountain Range and the Saronic Gulf. Here we can see the small church of St George and the Lycabettus Theatre. This morning we begin with a visit to the new Acropolis Museum and then continue to the ancient Agora - the market place and centre of ancient Athens - to hear about the early history of Athens. 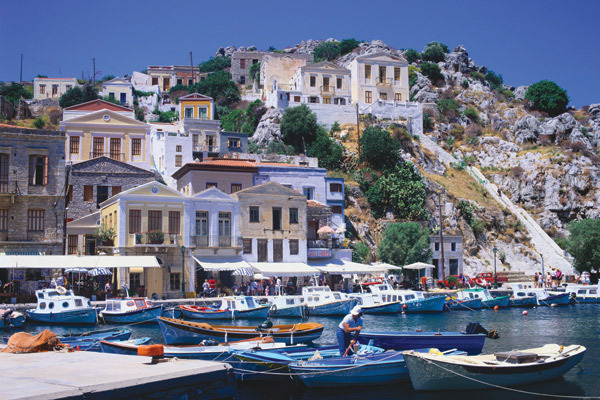 From here you wander through the busy streets of Monastiraki towards the historical centre of the Plaka, and visit the 100 year old distillery “Brettos” to taste some Greek liqueurs. An enjoyable lunch will be served at a traditional Greek taverna before you take a drive along a coastal road to Cape Sounion, passing the beaches of Glyfada, Vouliagmeni and Varkiza. At Cape Sounion you will be able to explore the Temple of Poseidon and the rocky promontory where there is a splendid view of the Saronic Gulf. This morning you will have an early morning transfer to the port of Piraeus, to embark on your fast ferry to Mykonos. Upon arrival, you’ll be greeted by our local representative and transferred by private car to your hotel. Today you have the chance to explore both the lifestyle and true history of the island on our walking tour of Mykonos town. 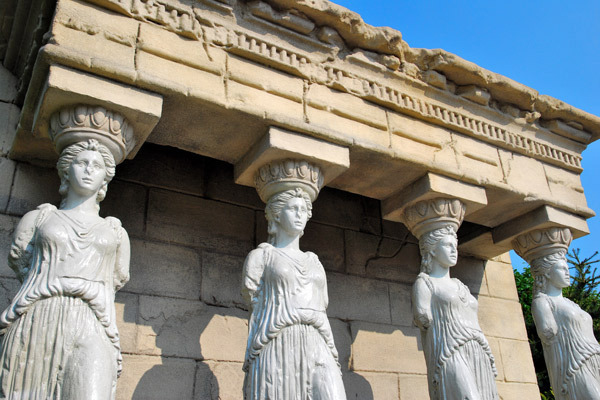 You will visit the Mykonos Archaeological Museum, housing pottery from Delos as well as some grave stelae and jewelry from the island of Rhenia. Continue your walk with an exploration of the Mykonos that tourists seldom see, and discover its mysteries amid narrow winding streets lined with whitewashed houses and walled gardens. Discover the town's deliberately confusing layout, designed as a means to foil attacking pirates. The nearby windmills, the island trademark, once ground wheat that was used to bake bread for islanders and sailors alike. Afterwards you will visit the Kastro area where Little Venice and the Paraportiani Church are located. Important note: The tour is dependent on weather conditions and entails over 2 hours of walking on cobblestone streets with inclines and steps. Today you are free to relax at the beach or at your hotel, walk around the town and enjoy the ambience and local culture. Perhaps visit some tavernas and indulge in some local shopping. After breakfast, we’ll transfer you to the port, to embark on your fast ferry to Santorini Island. Upon arrival, you’ll be greeted by our local representative and transferred by private car to your hotel. Today we have a 5 hour catamaran cruise departing from Vlychada port. During the trip there will be the opportunity for a swim in the crystal clear waters. Then we sail along the caldera to the volcano, passing right alongside. Our next stop provides another swimming opportunity at the Hot Springs, where the sea water maintains a permanent warm temperature. This will be followed by a stop at the picturesque island of Thirassia. We then begin to sail back to Vlychada port, whilst enjoying the wonderful view of the caldera. The tour includes a BBQ on board. At the end of the tour you will take a transfer by private car from Vlychada port back to the hotel. Note: You can choose whether to start your tour in the morning or in the evening. This morning is at leisure. In the early afternoon, you will take a tour with your private car and guide. The first stop is Profitis Ilias - the highest landmark all over the island, offering magnificent panoramic view. 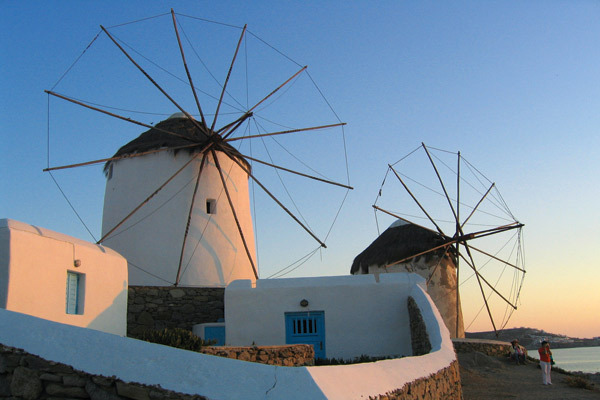 We continue our drive across the red and white beaches and the fallen windmills on the road, to Emporio. Here you will visit the finest winery on the island, which is worldwide famous for its wine production. There you will have the chance to find out about the wine-making process, and taste a selection of exquisite local wines. Your tour will end up at a unique restaurant in Megalochori village. Here the chef will provide you a cooking lesson. With his expert aid, you’ll prepare a full menu consisting of Santorini specialties. You’ll then be able to enjoy the very same menu that you have just prepared. After dinner is concluded, we’ll drive you back to your hotel. After check-out, you will be picked up from your hotel by your private car and transferred to Santorini airport, to catch your domestic flight to Athens and your onward journey.